In this session you'll be introduced to HDInsight & Storm. Storm is used by Facebook, Twitter, Yahoo, Spotify and many others. Apache Storm makes it easy to process unbouded streams of data in realtime. It can be used in many different areas: analytics, machine learning, distributed RPC, etc.. It's possible to create a Storm application in Azure using HDInsight and use .NET, Java or both to suit your specific needs. By the end of the session you'll know all the core concepts and be ready to go! 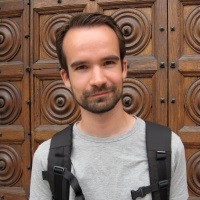 Speaker: Benny Michelsen is a software developer experienced in the Microsoft .NET framework and has assisted and led teams to create object-oriented solutions. These varied from stand alone Windows applications to full fledged distributed programs. He's always learning new technologies and theories to improve his programming skills and is very interested in what's going on after a button is clicked, knowing how all the dots are connected is what he enjoys most. Although his professional work is mostly based around the .NET ecosystem, Benny has a keen interest in other programming languages and the open source world in general.